The well coordinated commercial banks armed robbery incident in Offa yesterday is callous, unacceptable, barbaric, condemnable in all ramifications. Our hearts are with the good people of Offa in this trying period of avoidable mishap, we condole with the families of victims and pray the Lord Almighty grant eternal rest to the souls of the departed. This latest bloody bank robbery in Offa township has left in its trails, several salient questions begging for answer and it won't be out of place to demand for a complete overhaul of the security architecture of the State, as the armed bandits have severally proven the porosity and poor policing of our inter-state borders among other noticeable shortcomings. A visit to Osun, Ondo, Lagos, Ekiti and other sister States, will see the strategic positioning of Armoured Personnel Career (APC) in and around the State. That is a clear show of readiness to combat security challenges as it arises. Armed bandits, violent cultist, touts and thugs have combined to hold the State to ransom in the last 10 days in Ilorin and Offa respectively. The Baboko, Sango and Offa incident where cultist, touts and armed bandits operated freely is a pointer to the confidence and boldness criminals now have to unleash violence, maim, rob, kill and cause chaos in the State unhindered and unchallenged. It is sardonic and bemusing how Kwara has transformed from being known as one of the most peaceful State in the Country to one whose jugular is violently held by criminal elements. We implore all stakeholders to rise up to the occasion and jointly fashion out a way out of the incessant breakdown of law and order. While we appreciate the gallantry of men of the Nigerian Police Force who lost their lives in Offa, we wish to sincerely express displeasure with the seeming virtually none response from the security operatives. It'll be good to know you'll meet atleast 10 road blocks before exiting Kwara when commuting from Ilorin to Osun. The question begging for answer is how were the armed bandits able to move freely into the State and out undetected and unchallenged. The latest violent armed robbery incidents in Offa which left no fewer than 20 people dead is the third of its kind in few years, has exposed our deceit of never learning from history. 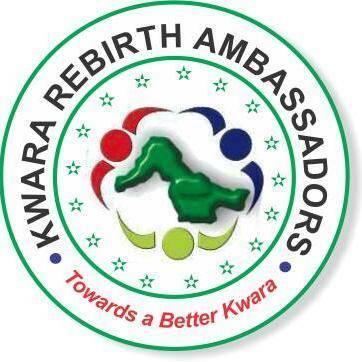 Kwarans have been relegated to merely adjusting to bad occurrences and moving on after the usual camouflaged and chameleonic movements of the relevant stakeholders. We demand the arrest and prosecution of the blood sucking armed bandits, arms mop-up, clampdown on thugs, cultist and all other violent groups. Above all, those arrested must be brought to book and made to face the full wrath of the law without fear or favour. We enjoin all Kwarans of conscience to stand up in unison to demand a better funding channeled towards procurement of necessary gadgets and other logistics for security operatives and agencies in the State and above all, we all must stop politicising security issues, it's inhuman and more cruel than even the crime itself.